Born in Port-au-Prince, Haiti, producer Patrick Jerome was destined for a creative career. Singing in his family's church choir at age seven, his spiritual joys of home, church, and music became a powerful foundation for his later artistic expression of his political and social views. From the start of his creative endeavors, Patrick endured pressures from the Haitian government, which censored the revolutionary ideas in his original lyrics. But Patrick persevered with his debut song and video Slaves in the Batey, which became a major hit in his homeland. The success of Slaves in the Batey ignited Patrick's deepening passion for becoming a full-fledged filmmaker. Cinema for him became a natural extension of his musical artistry. Film also appealed to Patrick because of its visual dynamism, narrative structure, and emotional impact, enabling him to express his ideals with more immediacy. Determined to become a filmmaker Patrick produced and directed his debut feature film: Rezo San Pitye (Ruthless Gang) with no formal training. Once he finished and edited the film, found Rassoul Labuchin a Haitian filmmaker who had moved back to Haiti after many years in exile. He later became the director of National Theatre, and he helped Patrick release his film on a national level. The provocative film touched on the unstable Haitian system of rule and depicted the insecurity of its citizens. Adding to the controversy of the film's theme was the 1991 military coup of the Haitian government just one week after Rezo San Pitye was released. The national attention the film received was, in Patrick’s words, "like a bomb going off." So much so that caused Patrick to become suspected of major political crimes by the generals who headed the coup and forced him into hiding for nearly two years - until he was granted political asylum in Haiti in 1993. Patrick’s next move was to the US, Boston, where his father lived. As he worked toward establishing himself as a filmmaker in the US, Patrick secured two unique "day jobs" that provided the opportunity to be exposed to countless fascinating real-life stories. His English language skills led him to become a case manager for local Haitian refugees with the International Rescue Committee (IRC). When Haiti closed its refugee program, Patrick secured a position as a case worker for the American Red Cross, helping people of all different cultures who needed emergency assistance. "That's what led me to make my first American film, Deportation," the veteran indie filmmaker says. "I heard so many stories of deportation cases working for the Red Cross, and went to court on behalf of a lot of people. 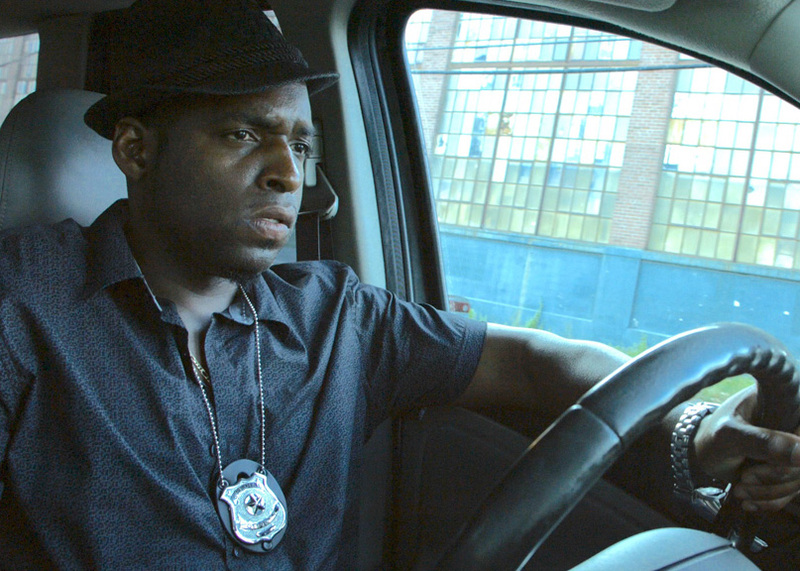 In the film, a man is facing drug charges, keeps getting incarcerated and put on the deportation list, but his girlfriend is an American lawyer fighting to keep him in the U.S." The film played at numerous prestigious festivals, including the Los Angeles International Film Festival, the New York International Film Festival and the Las Vegas International Film Festival, and eventually established Patrick as a powerful independent visionary, and an important voice in the Boston arts community. In addition to filmmaking, he established the annual Boston International Film Festival, which he continues to run. His films have been shown in the U.S. and Canada, appearing at such venues as the Strand Theater, John Hancock Hall, and mainstream cinemas such as AMC theaters, Landmark Theaters. Showplace Icon Theatre, Regal Cinema, Museum of Fine Arts, Showcase Cinema and many more. He has made personal television appearances in shows broadcast in the Boston market including WHDH Channel 7, Fox News 25, WCBV Channel 5, WCEA Channel 19, New England Cable News, Comcast News Channel 8, Boston Public Access Television, and many more. Since launching his career as a producer and director with the real-life based drama Deportation in 2001, Patrick has written and directed the feature length films Holla At Me (2002) and Open Vacancy (2012) and the short films Day By Day (2012) and The Last Delivery (2015). He has also served as executive producer on the 2008 film Walls Have Ears (which he also wrote and directed) and Assassin's Bullet, a 2012 drama thriller starring Christian Slater and Donald Sutherland. As producer, director and writer, he currently has the feature, Beyond Control in post-production, and has also completed several shorts: A Time to Tell; 100 Yards Away; and For Love or Money. From 1997-2004, he tapped into his lifelong passion for music to produce the Boston based TV show International Rhythms, an hour long weekly series showcasing music videos from artists and directors all over the world. Patrick was also the creator of the series. 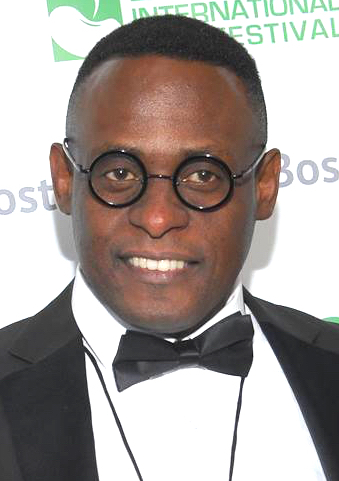 Like all his films, the show was produced by his company Bway 7 Productions - which he originally established in Haiti. 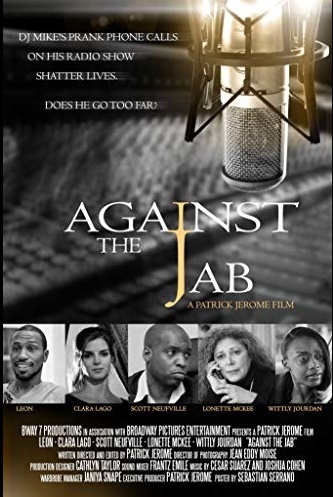 After enjoying a successful run at the AMC Loews Boston Common 19 and designation as an "Official Selection" of the 2015 Boston International Film Festival, Patrick's critically acclaimed feature Against the Jab is now available for rental or purchase on a wide variety of platforms, including Amazon, iTunes and YouTube On Demand. 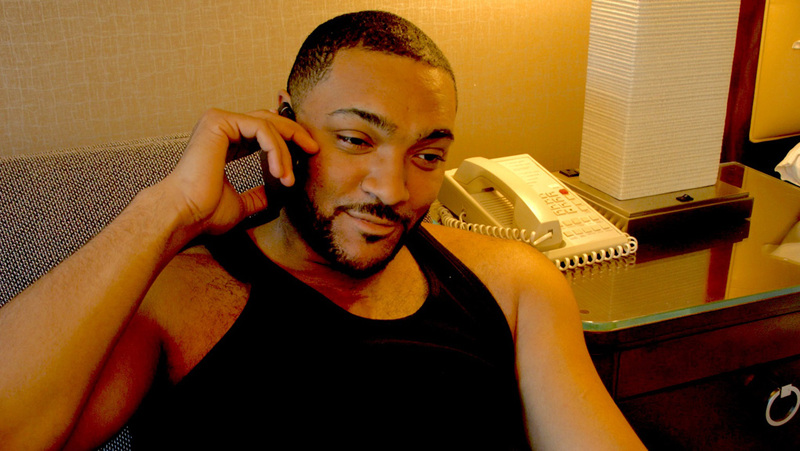 Written, directed, and executive produced by Jerome, the film stars Leon as radio personality "DJ Mike," host of a Boston-based prank phone call driven radio show called Jab Stab. Other cast members include Scott Neufville, Clara Lago and Lonette McKee, with Jerome himself making an appearance as Detective Paul. In speaking about Against the Jab, Patrick said, "Most of my films are based on true stories or inspired by real events that spark my creativity and desire to build a unique narrative." Indeed, overcoming a lifetime of challenges, the screenwriter, director and producer's stranger-than-fiction journey from being a wanted man hiding from the government in Haiti to one of America's most respected independent film voices could make a powerful film (and autobiography) of its own someday. 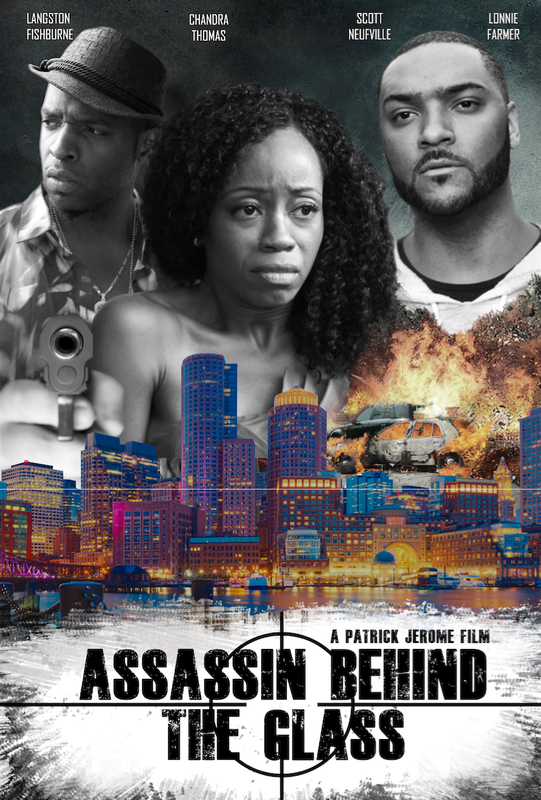 This year, everything comes full circle for Patrick, with the premiere of Assassin Behind the Glass during this year's recent Boston International Film Festival. The Boston International Film Festival took place April 11 - 16. The festival strives to bring together local, national and international filmmakers in Boston by promoting the world’s most artistic and creative independent and experimental films. The occasion of a five-day festival affords a rare opportunity to promote dialogue between filmmakers and the audience in an intimate setting. Assassin Behind the Glass evolved into a contemporary urban story that questions whether “snitching” is an honorable virtue, a death sentence, or perhaps a little bit of both. While scoping out a cast for the project, Jerome was watching the 2013 feature Labor Day starring Kate Winslet and Josh Brolin when a young actress named Chandra Thomas caught his eye. She had a small role as a bank teller, and Jerome saw that she could easily translate that same energy into portraying a postal worker in Assassin named Talia who witnesses a murder. The rest of the cast came together with relative ease. Scott Neufville, with whom Jerome worked on Against the Jab, was quickly cast as Henry, a detective with the Dorchester PD. Then along came Langston Fishburne, the adult son of star Laurence Fishburne (The Matrix, The Tuskegee Airmen, Mystic River) who happens to be a dead ringer for his pop. “Too much of what’s happening in America surrounding guns focuses on surface solutions,” Jerome believes. “For instance, in our story, a man is shot in front of the Dorchester post office. This in fact happened on two occasions in real life, spurring the city to erect the bulletproof glass protecting the postal workers. But it does nothing to secure the people on the street walking up to the post office. It also does nothing to take guns off of the street, offering a mere Band Aid instead. The film also explores deceit in the criminal justice system and the judiciary and its parallels in American society. This in particular fascinated Neufville, who was drawn to Assassin Behind the Glass by its unwillingness to sugarcoat reality. “Filmgoers don’t want to be preached to,” Neufville understands, “but you can’t escape the moral/ethical aspect of this movie. Ultimately, audience members will come to their own conclusions, but Patrick spells out both the virtues and the dangers in being a whistleblower for a criminal act they witnessed. You can’t just say across the board that you always have to step up. That would be irresponsible to insinuate, because it’s always a judgment call." What attracted Fishburne to the film was a script (penned by Jerome) that casts an honest light on black crime. Thomas was thrilled to be in an indie film as complex and impactful as Assassin. Said she: “I am such a strong believer in indie filmmaking. It allows filmmakers to express voices that don’t always find a home in the mainstream. Engaging stories, opportunities for local creatives, and the space to reflect inclusion make indie film a medium I deeply embrace both as an actor and a creator. Indie films like Assassin get to tackle situations that impact people in ways we seldom see on the screen. ”Fishburne also was drawn to the idea of a black story unfolding in Boston, when the majority of films depicting stories in the area focus on the Irish or Italian communities. Patrick has decided to oversee the distribution of Assassin Behind the Glass, so as to maintain complete control of its fate. And Neufville, for one, is proud to be a part of it. Jerome is presently working on a pair of theatrical projects in pre-production through his Broadway Pictures Entertainment shingle: a thriller inspired by a true story entitled Lethal Entanglement and the drama Flip Around. He penned the scripts for both. Assassin Behind the Glass screened as part of the BIFF at the Landmark Theatre Kendall Square. The festival premiere is now followed by the online streaming and on-demand release of the film on iTunes, Amazon, Hulu, Redbox, Google Play, Playstation Network, Hoopla, Tubi, FandangoNOW, Kanopy, SlingTV, iDemand.